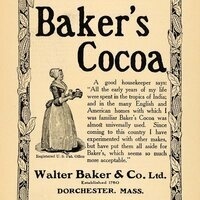 February: We will be discussing chocolate, how it was made, production in early Philadelphia, and availability. Our class hands-on activity will be cooking with a heritage chocolate. Early chocolate recipes will also be handed out. All materials supplied. Come to learn a new/old skill! Tyler State Park is partnering with Nichole Gerding of Thankful Sage Farm School to bring you ‘Hands-On Heritage.’ In each of these programs, we will discuss local history in context of the season, and try our hand at some heritage skills to take home to share with our families. We will be discussing the Hearth, and its role as the center of the home in early American life. We will discuss its seasonal usage, give a snapshot of daily life, and learn types of firewood used in this area. Our class hands-on activity will be making fire-starters with natural materials (pine cones, wax, paper, etc.). All materials supplied. We will be discussing the intricate history of Bucks County in the forming of our country, to just past the Industrial Revolution. We will review an extensive visual timeline of Bucks County and elaborate on several key points that make up the history of our area. Our class hands-on activity will capture a bit of warmth before the holiday season kicks into full swing! We will be making Beeswax Luminaries made with Bucks County beeswax. All materials supplied. NOTE: Christine Applegate will be a guest speaker while Nichole is away on maternity leave! Learn the surprising history of the beautiful white and purple shell beads we know as wampum. Find out why they were valuable to both Native people and Colonists, and how they were woven into jewelry, sashes, and belts. Then try your hand at it. Make your own shell bead using a stone drill and weave a one-row bracelet using buckskin and glass wampum with the single-needle method. NOTE: Cassandra Stancil Gunkle will be a guest speaker while Nichole is away on maternity leave! Explore the historic presence of African Americans in Bucks County, from the 1700s through emancipation. As the Revolutionary War was starting, Pennsylvania Quakers launched an early movement to end slavery in Bucks County. This movement continued as the Underground Railroad in the 19th century. We will explore African American history in Bucks looking at manumission papers & maps and then wet-felt a muffler/scarf (used to disguise a couple who escaped from Georgia to Philadelphia) to remember this history and journey. We will be discussing chocolate, how it was made, production in early Philadelphia, and availability. Our class hands-on activity will be cooking with a heritage chocolate. Early chocolate recipes will also be handed out. All materials supplied. We will be discussing the background and works of Edward Hicks, identifying the current locations of some of his paintings, and discussing reoccurring themes. Our class hands-on activity will be linograph printing of primitive folk art animals. All materials supplied. April: Wait a Minute Mr. Postman! We will be discussing the roles of postal couriers during the Revolution and beyond. While maneuvering treacherous roads, being accused of spying, or just delivering family news to another state, this role had a significant hand in forming our local and national history. We will be examining examples of old letters, secret holding key-letters, and wax seals. Out class hands-on activity will be working with Walnut Ink and Natural Glue to make build a beautiful letter and envelope. We will be discussing Indigo and how it was grown and used in the early colonies. Our class hands-on activity will be dyeing fabric with real Indigo. All materials supplied.